Wild picture! My father would have been 4. They lived in Austin. A few years ago a tornado hit West Dallas. Caused hundreds of dollars worth of damage. Last edited by Roll-Tide; 02/10/19 04:43 PM. My wife and her friend were in that one, they were pulling a horse trailer on 20 headed home. 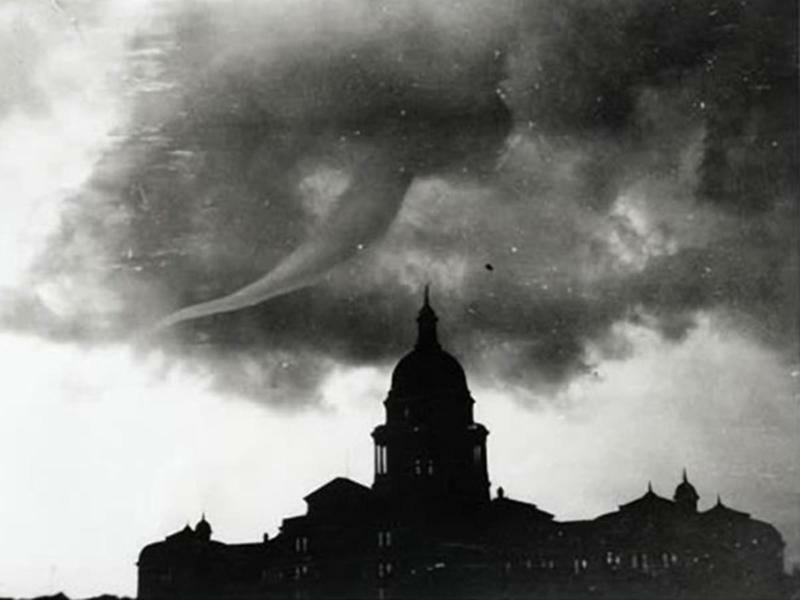 My wife went through the Lubbock tp0ornado, she thinks she is invincible, the other lady was a basket case. .
May 11, 1970. Remember it well! Mom was a basket case. Dad and I watched from the kitchen window as our back yard fence was pulled from the ground, posts and all. I was in one, in Palestine around 1989. I ran into a Hershel’s Chicken. Glad I’ve never been thru one. Glad I&#146;ve never been thru one. I have seen three tornadoes. I was able to watch watch one while standing on the bed on my truck from about 1/2 mile, I almost got sick it was so powerful and eerie. I have never seen one. Almost makes me non-Texan. I remember the one that hit Waco back in the fifties and killed a bunch of people. Saw one while at tech school at Chanute AFB IL. Was marching my guys back to the dorms when we saw this thing snake down from the sky with multiple bends. Was amazing and mesmerizing watching it rotate. Then we saw a group of Marines running at us screaming about taking cover and we quickly followed suit. I was in Palestine one too. Sunday afternoon around 3:00pm.